If you have missed the previous post then you can have a look at here . 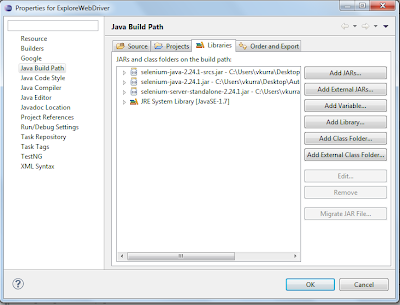 5.Write the code in the Java class file and run it. We will get a popup which will prompt us to provide the project name. 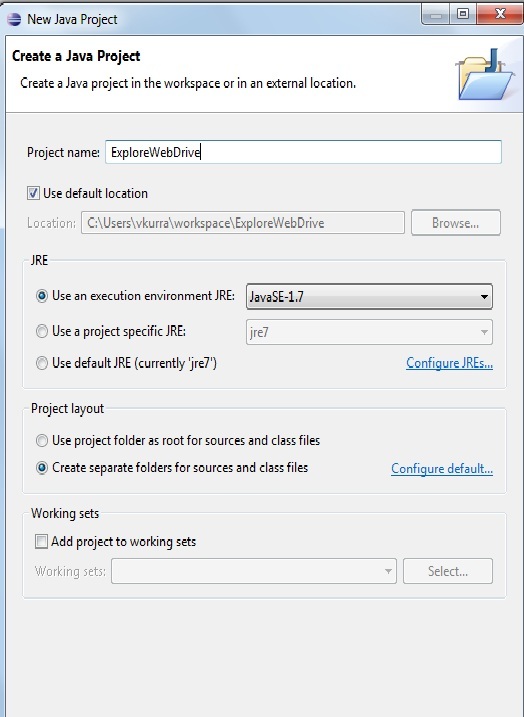 Give the project name say "ExploreWebDriver" then click on Finish button. 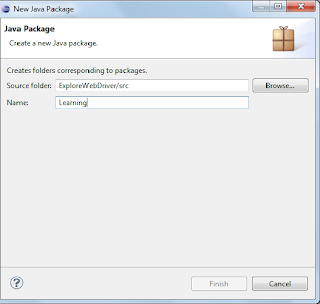 New>>Package>>Give the name of package in the "package creation" popup. Say "learning" is the name of the Package.Now click on finish button. 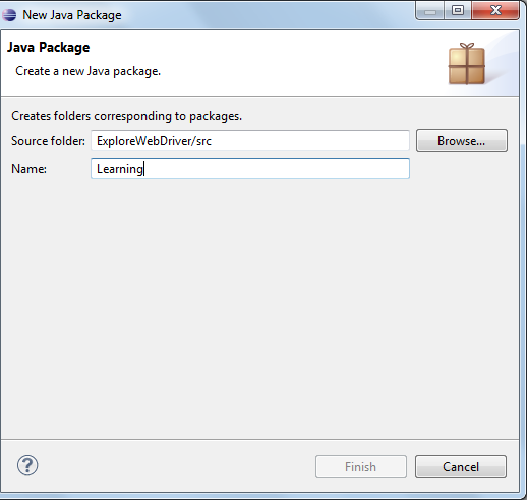 New>>Class>>we will get "New Java Class" popup. 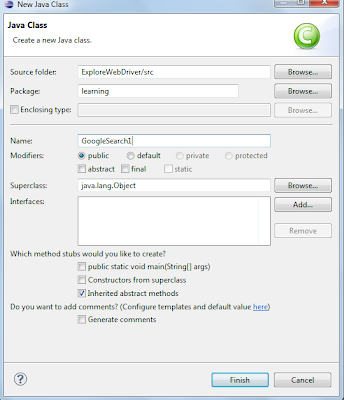 Enter the name of the class say "GoogleSearch" and click on Finish. Copy the below code and paste it in the created Java class file. Script will run successfully and a new firefox window will be opened with the Google.com . If u know plz tell me how? I am new on selenium. i am trying to implement your code, but i colud not open google page. i could not identify problem can you help me. if i dont know java or any other lang. 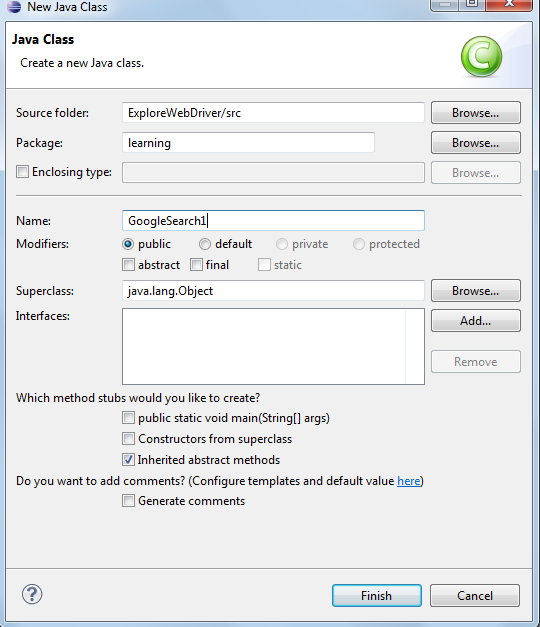 then can i record scripts using IDE and export them in eclipse in java/webdriver format?? Selenium IDE has its own limitations. 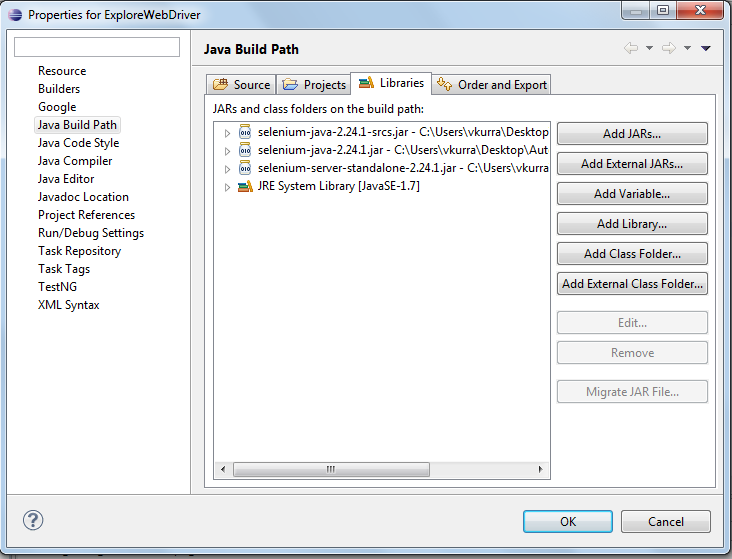 In some cases export works fine but in most of the cases it may not work due to the limitations of Selenium IDE.